October 28, 1934. 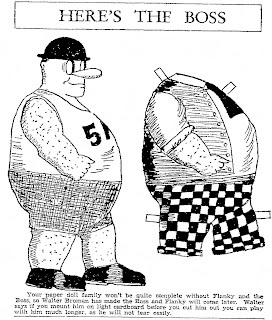 A paper doll of THE BOSS by Walter Broman of the SLT Junior Club. June 07, 1936. 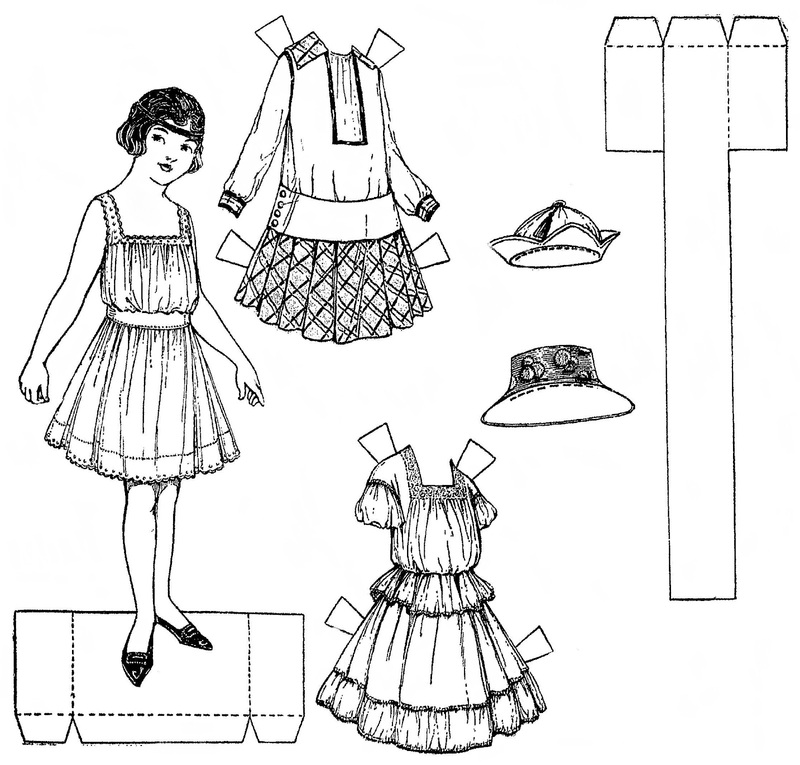 A paper doll by Claude Diehl, another member of the SLT Junior Club. October 11, 1935. 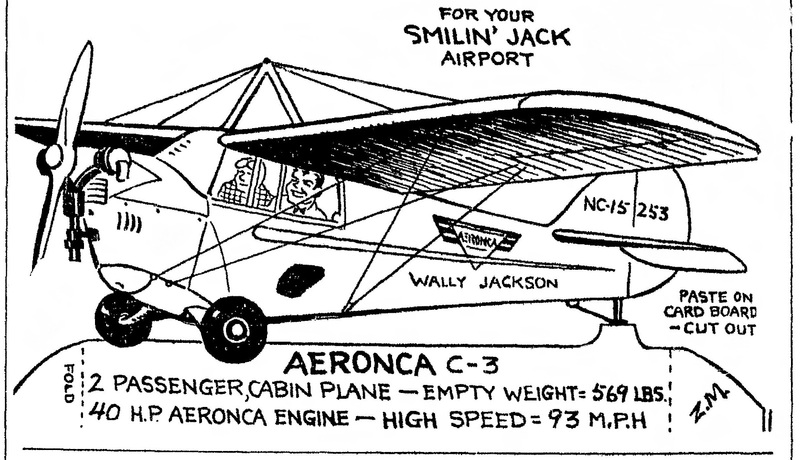 From the comic strip SMILIN' JACK. 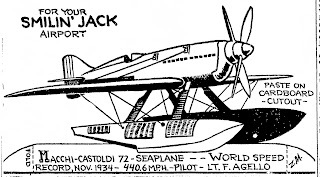 This cut-out is of the MACCHI-CASTOLDI 72 Seaplane. 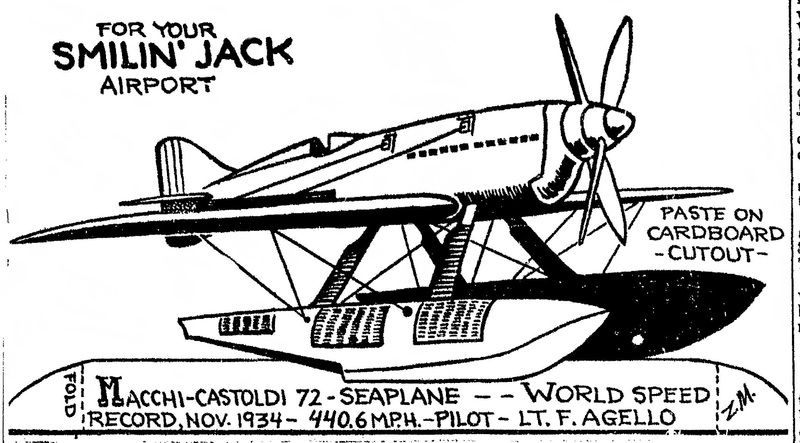 World Speed Record, Nov. 1934 - 440.6 M.P.H. - Pilot - Lt. F. Agello. November 11, 1935. 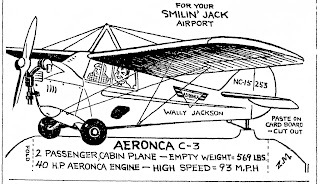 The AERONCA C-3, 2 passenger cabin plane. January 10, 1936. This one is my favorite. 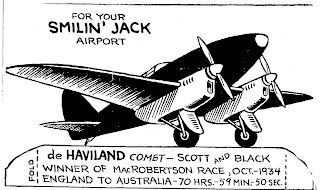 The de HAVILAND COMET - Scott and Black winner of MacRobertson Race, Oct. 1934, England to Australia - 70 hrs. 59 min. 50 sec. February 14, 1936. 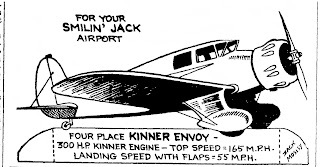 Four Place KINNER ENVOY - 300 H. P. Kinner Engine - Top Speed=165 M.P.H. 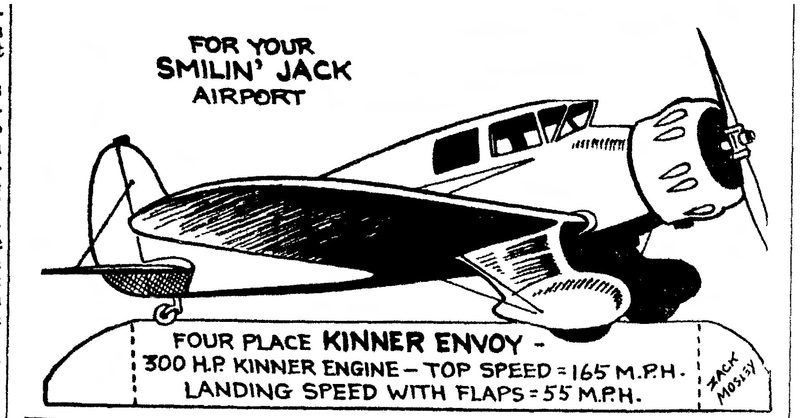 Landing Speed with flaps=55 M.P.H. May 27, 1923. "The border including the space behind the lettering is to be colored dark blue and the lettering is left white, while the space behind the two children is red. Susie has an armful of beautiful white lilies. They have yellow stamens and pistils and lovely long green stems and leaves. 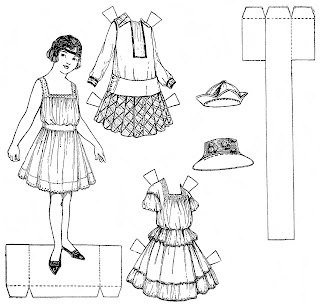 Susie wears a light blue dress and a ribbon on her yellow curls to match the dress and socks. Her shoes are yellow. Teddy carries red roses that have very dark green leaves. Teddy's hair is brown and he wears a white middy suit with dark blue collar and cuffs. His tie is bright red. Mary Jane has come too. 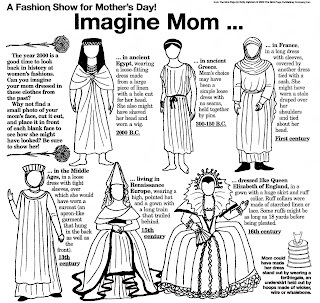 Susie dressed her in her best pink frock. 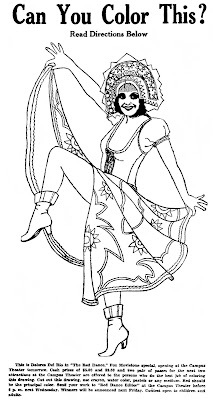 Mary Jane has brown hair and a large yellow hat trimmed with pink flowers. Her shoes are yellow. Teddy's dog, Bingo, of course, he is yellow, wears a big brown collar. All have pink cheeks except Bingo, his nose is brown like Teddy's shoes." 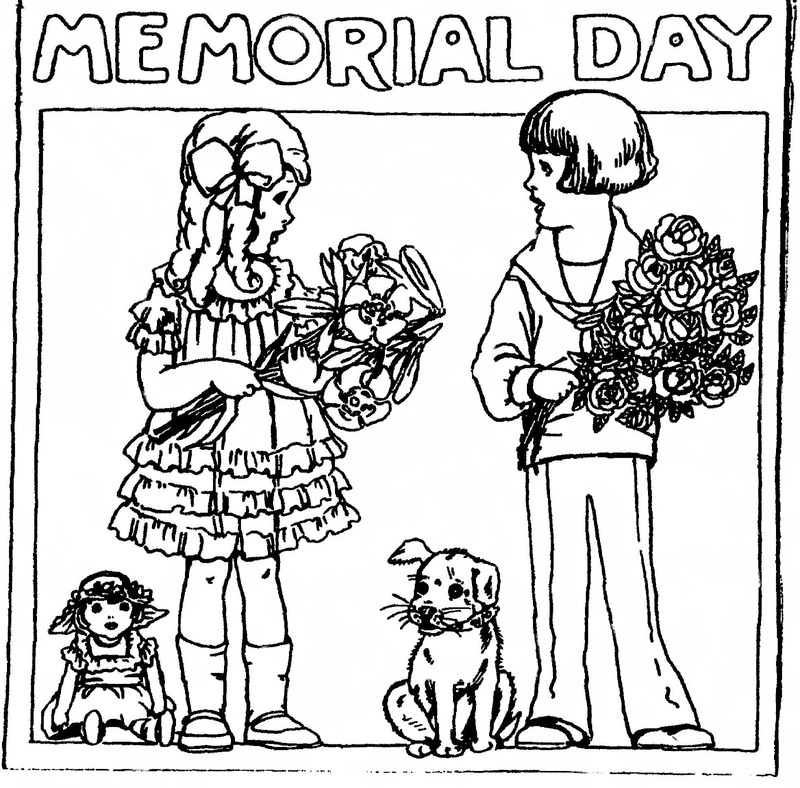 From the Susie May coloring series. 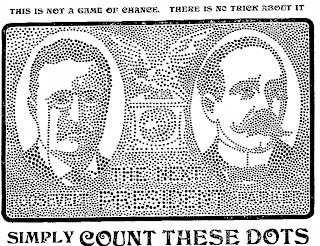 August 06, 1922. 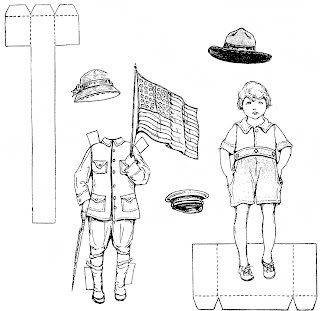 "It does not need me to tell you what this cutout is. You can see for yourself that it is a Circus Elephant and a Circus Clown who is putting the big animal thru his tricks. 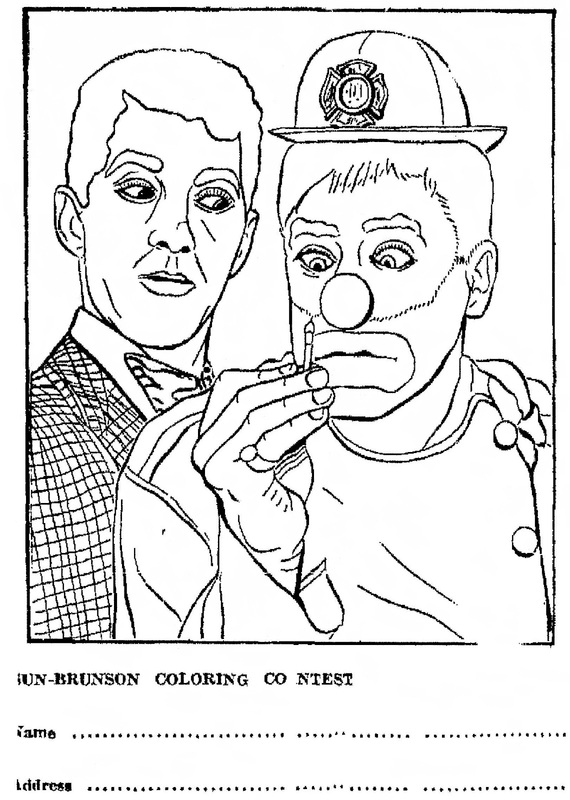 The trick that is yours to do is to make the Elephant and Clown stand. This will be easy enough. You have only to paste the whole picture on thin cardboard. 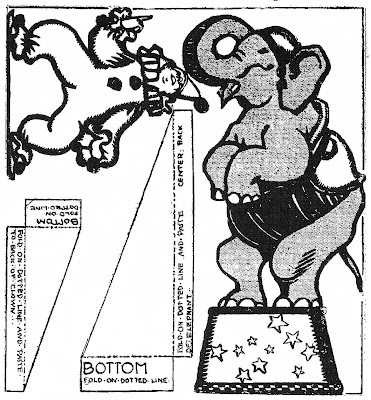 When the paste is dry cut out the Elephant and the Clown and also the standards for each. 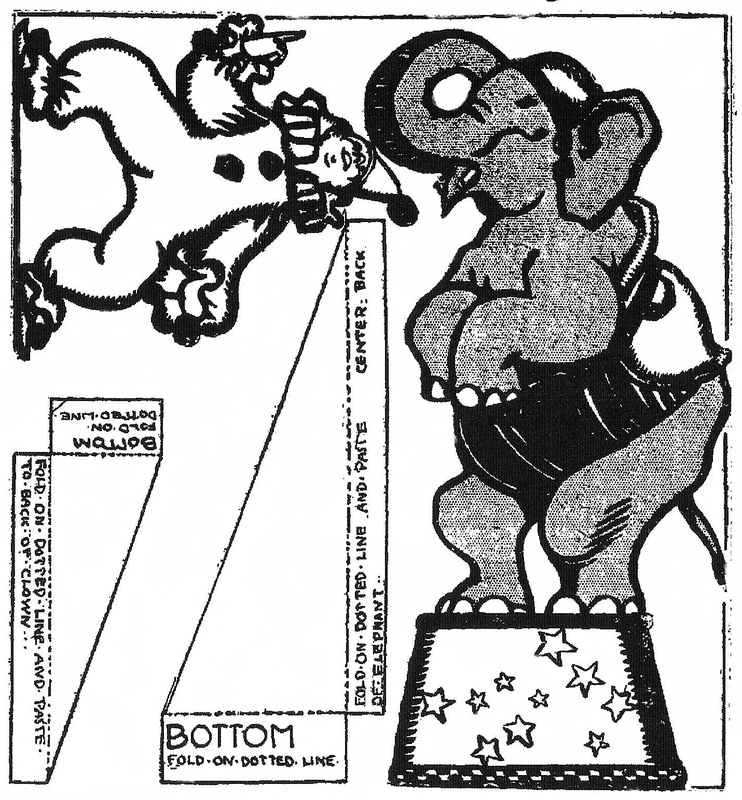 Paste the standards at the backs of the Elephant and the Clown. This will make them both stand. Coloring the toy is perhaps the best fun after all. 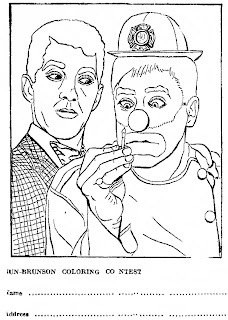 The Clown would look very gay in a blue suit with orange ruffles at his neck and wrists and a green hat, while Jumbo, the Elephant, would find either red or purple cap and blanket becoming to his gray hide. Gold stars on a field of blue would make the pedestal bright." 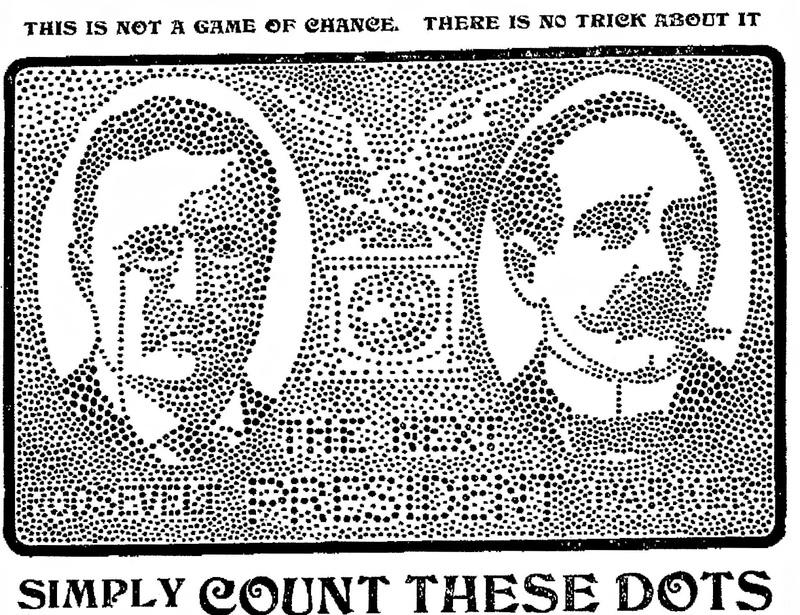 August 20, 1922. "Dear Kiddie Kin Of Mine: Little, blond Pollykin and her cousins, Roy-Boy, are planning to have a bushel of fun playing circus. And, thinking that you might like the game, I have devised a cutout circus for you. 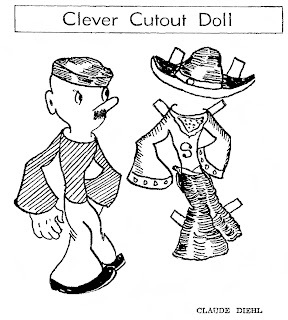 Last cut-out was the Funny Clown and Trick Elephant. The one today, as you can plainly see, is the pretty Bare Back Rider and her Snow White Horse. 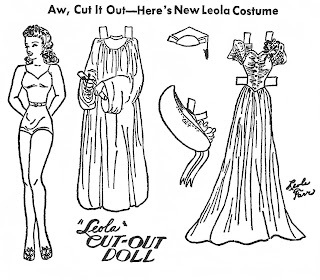 Next week there will be another circus feature to cutout and so on until you have a complete cut-out circus all your own. The Bare Back Rider and her Snow White Horse are easily made to stand. 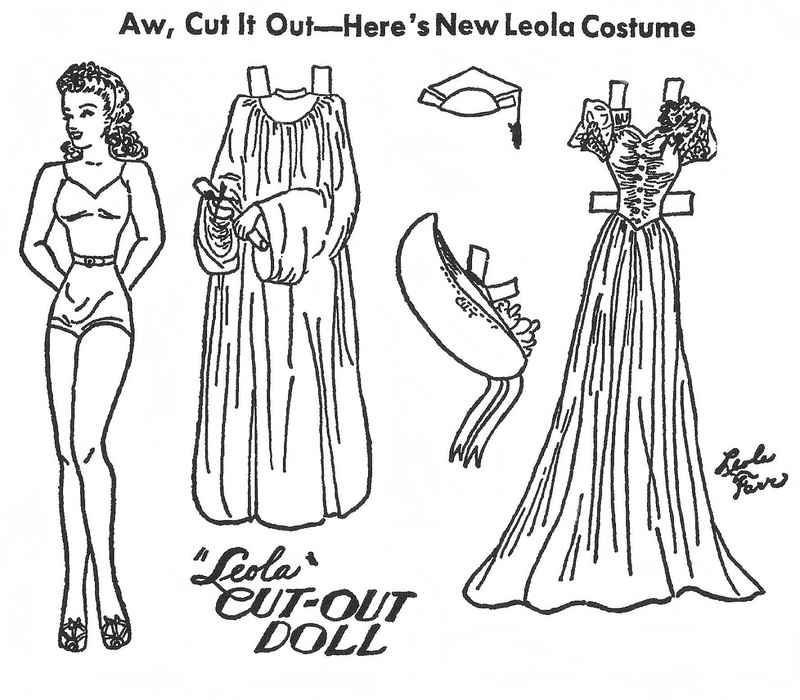 You have only to paste them on thin cardboard, cut around the outlines of the figures and their standard. 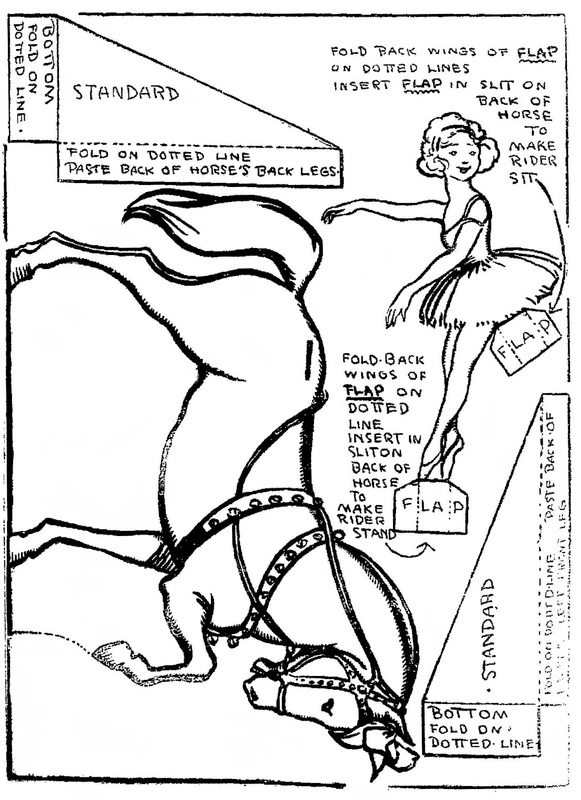 Perch the rider on the horse, paste the standards at the back of the figures and Presto! the toy is complete. Except for the coloring. Bright pink cheeks and a lavender gown would become this pretty, blond rider, and I think that the horse should have a pinktint around his eye and on the tip of his nose and ears (mostly all white horses do). The bow on his forelock should match the rider's dress. Now, make a circle of dust or sand and place the circus people and animals inside. You can have them doing their stunts one at a time or all together as we see them in a big three"-ring circus. 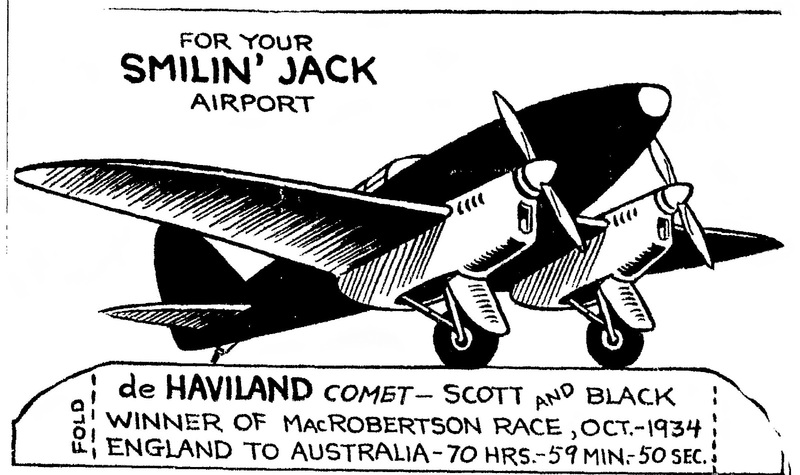 September 21, 1928. A coloring contest for the motion picture, THE RED DANCE. "This is Delores Del Rio in The Red Dance, Fox Movietone special, opening at the Campus Theater tomorrow. 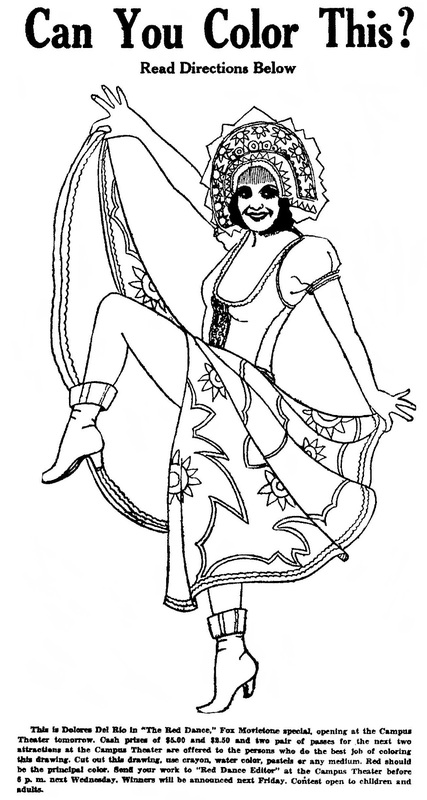 Cash prizes of $5.00 and $2.50 and two pair of passes for the next two attractions at the Campus Theater are offered to the persons who do the best job of coloring this drawing. Cut out this drawing, use crayons, water color, pastels or any medium. Red should be the principal color." The Red Dance starred Charles Farrell, Delores Del Rio, Ivan Linow, Boris Charsky and Dorothy Revier. A story of romance and intrigue during the Russian revolution. Directed by Raoul Walsh. May 28, 1916. A girl with a headband and several cute hats. October 02, 1940. Two pretty "Count The Dots" contests. Prizes were fur coats - fake fur of course, since this is my blog. 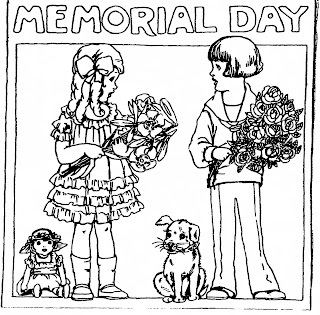 April 18, 1973. 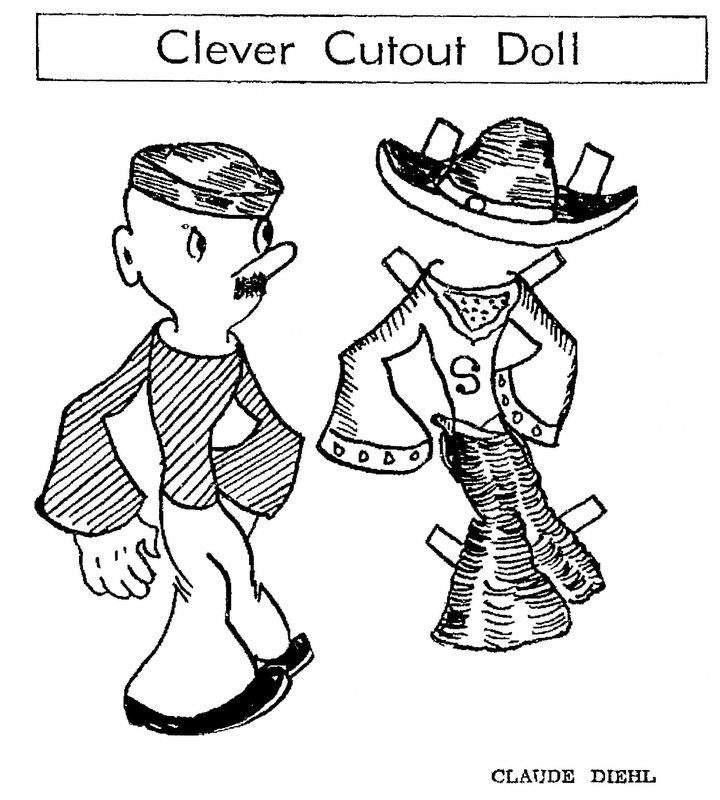 This paper doll appeared in a newspaper ad for the store, VENTURE. June 01, 1941. This morning I attended the graduation of my youngest nephew, Brett, from the University of Houston. Best wishes to all grads! 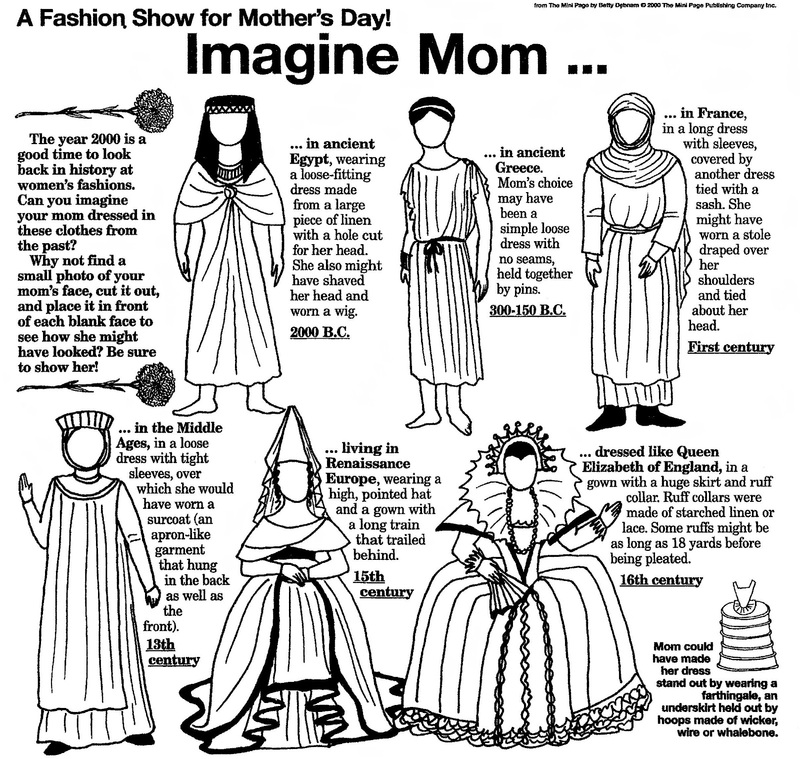 May 05, 2000. 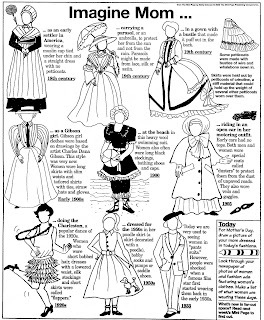 From "The Mini Page" found in many newspapers across the country. 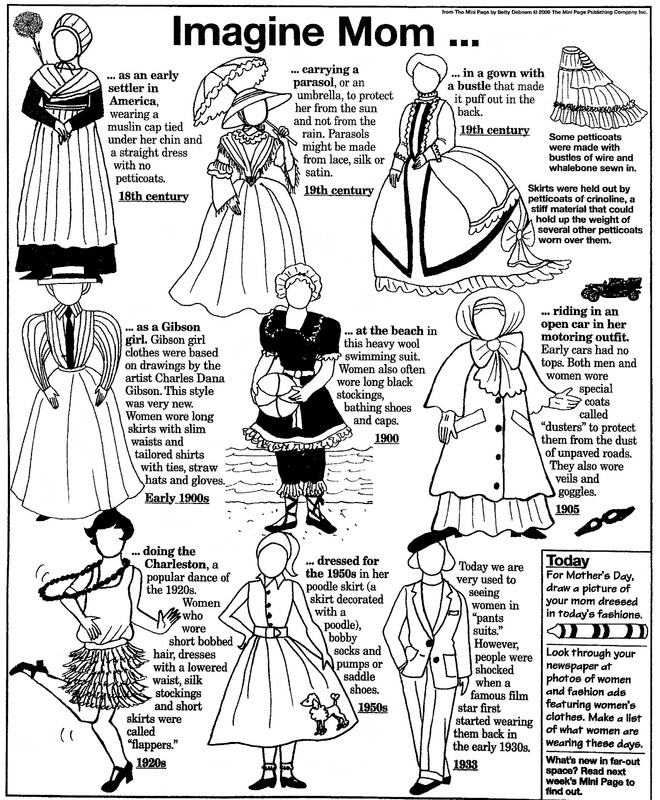 Could easily be made into paper dolls. 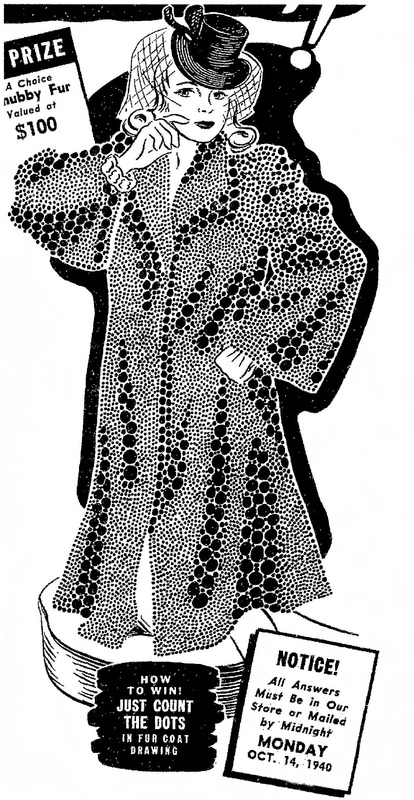 November 24, 1923. Polly put the kettle on, The kettle on, the kettle on. Polly put the kettle on, We'll all take tea. "Playing in the Paper Kitchen. How To Make The Play Kitchen. Paste Polly, Trip and Trott, the stove and the kitchen toys onto the cover of an old magazine. Do not cut them out until they are stiff and dry. Straight black lines show where you are to cut. Dotted lines show where you are to fold. To make the stove stand, fold on the dotted lines and slip the ends together, one under the other. 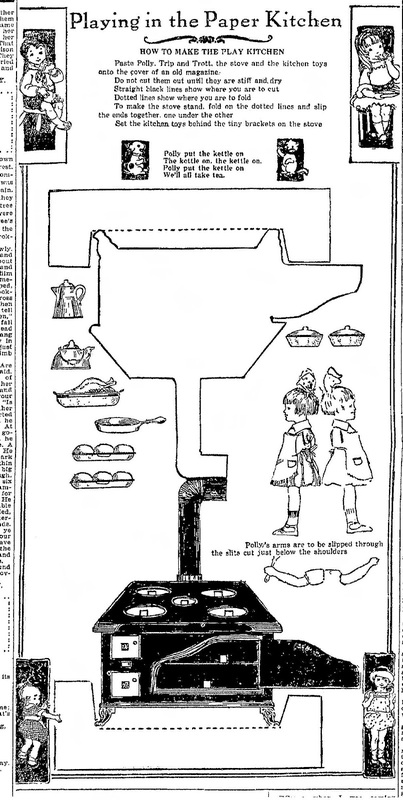 Set the kitchen toys behind the tiny brackets on the stove."